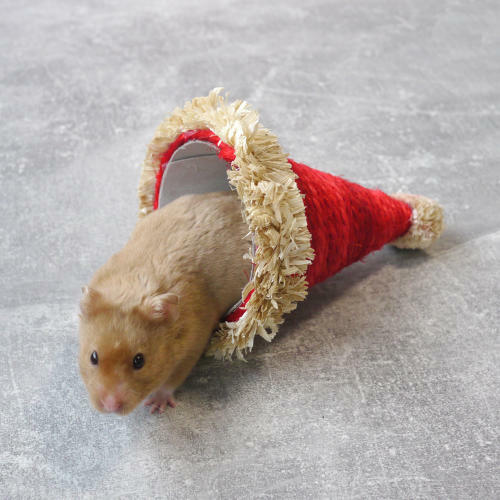 Rosewood Sisal Santa Hat is the perfect Christmas gift for small furries. The hat can be used for taking fun images (then as a chew and toss toy) with rabbits or guinea pigs, or as a den and chew for hamsters. Always supervise your pet when playing and remove toy if it becomes damaged. Suitable for most small pets.